Thread: Is this thread still active? I have been reading through some of the threads but most seem to be from 2016. Are these forums still active? I can see alot of "guests" visiting, probably even members that's too lazy to sign in ... and don't feel like commenting/responding/breathing/going to the bathroom ... etc. A thread gets read over and over. OH and welcome to the forum. O haven't been out fishing as much as I do but I think things will start to change. Haven't been able to afford a fishing license. 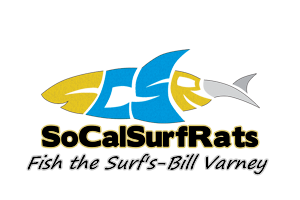 Thanks Fishkiller, I'm somewhat new to the area and really enjoying surf fishing for BSP I would like to learn some better spots since I only really consistently slay them up at Jalama beach by Lompoc. It would be good to learn from some familiar with the coast and some other areas that might hold good fish. You are at the best area for BSP. I would drive all the way to Cayucos finding your target fish. Or San Simeon. It's a long stretch of beach where you're at, and one of the best places to catch surf perch. They get very big up there. You're in the right spot.